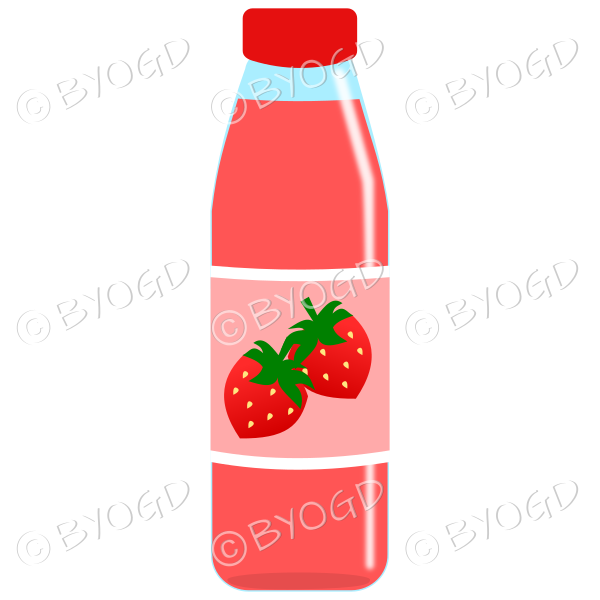 Pink bottle with pink juice and strawberries illustration. Pink bottle with pink juice and strawberries illustration. Use it in combination with our other food images to create your own images. Unique colour coordinated graphics for your social media on clear backgrounds.